The Amigos de Jesús family is a sanctuary of hope, healing and transformation in service to vulnerable children. 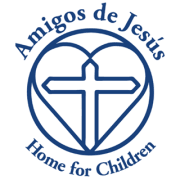 Amigos de Jesús is a home for abandoned, abused and impoverished children in rural Honduras. Founded in 1997 by Christine and Anthony Granese and Father Dennis O’Donnell, an Archdiocesan priest from Philadelphia, PA, Amigos de Jesús supports over 140 children in a loving, safe environment for children to grow and learn. Amigos de Jesús organization also financially supports the care and education of over 400 children living in villages and shelters in Guyana, Tanzania and Argentina. Would you recommend AMIGOS DE JESUS?